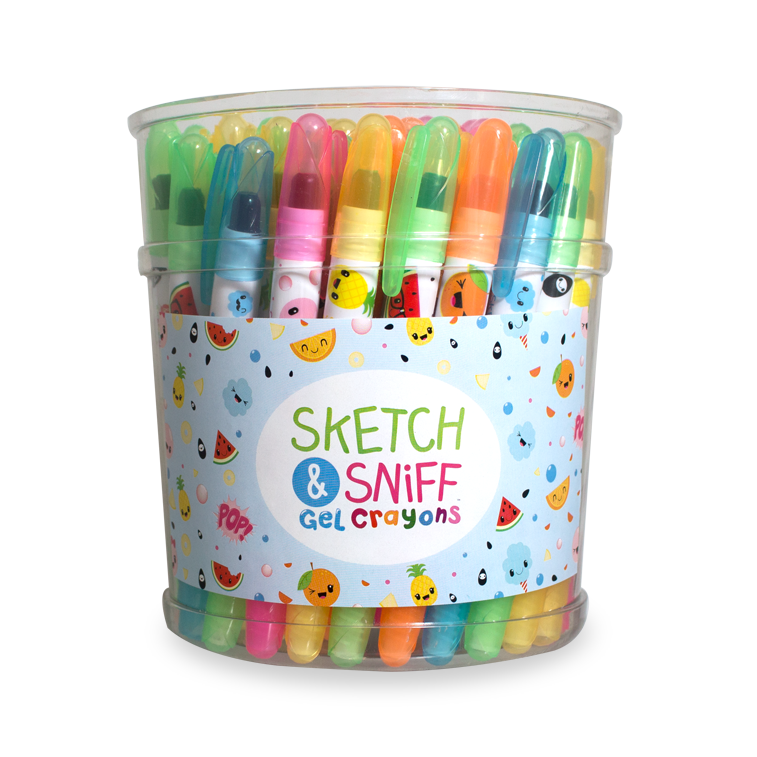 Our Sketch & Sniff Gel Crayons are scented gel crayons. The scent is emitted from the actual crayon core. There are 50 gel crayons in one bucket and 6 buckets in one case. Reach your friends and family throughout your neighborhood selling Gel Crayons in-hand for cash on the spot. Start off with one bucket per person selling. By checking this box you confirm that you are at least 13 years of age or older. © 2019 Scentco, Inc. All Rights Reserved. Smencils made under U.S. Patent #6,217,242. Smens made under U.S. Patent #7,524,123. Smarkers are made under U.S. Patent #8,366,595.